Jeff MacDonald is Chief Executive Officer of EcoSynthetix. Prior to this role, Mr. MacDonald was the company’s Chief Operating Officer. 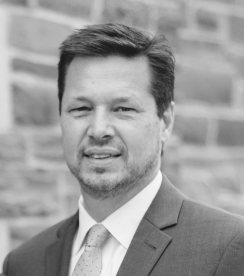 Mr. MacDonald came to EcoSynthetix with more than 15 years of executive leadership experience in a variety of roles, including operations, business development, and marketing. He spent the majority of his career at Husky Injection Molding Systems, a leading manufacturer of equipment and services for the plastics industry, with more than $1 billion in annual sales. At Husky, Mr. MacDonald led the establishment of new businesses, introduced a number of new products to market and led key initiatives that had a transformational impact on overall business performance. Mr. MacDonald holds a Master of Business Administration degree from McMaster University and a Bachelor of Science degree from the University of Western Ontario. Rob Haire is Chief Financial Officer at EcoSynthetix, a role he has held since 2008. Prior to this, Mr. Haire held financial leadership positions at Husky Injection Molding Systems, GE and Zenon Environmental. Mr. Haire holds a Bachelor of Commerce from Ryerson University and is a member of the Canadian Institute of Chartered Accountants, the Chartered Accountants of Ontario and the Certified Public Accountants of Illinois. Ted Van Egdom has held the position of Senior Vice-President of Market Realization and Product Manufacturing at EcoSynthetix since 2012. In this role, he is responsible for sales, customer solutions, manufacturing and fulfillment. From 2001 to 2012, Mr. Van Egdom served as Vice-President of Manufacturing, where he led the scale-up and commercialization of the company’s product line, along with the launch of its Centre of Innovation in Burlington, Canada. 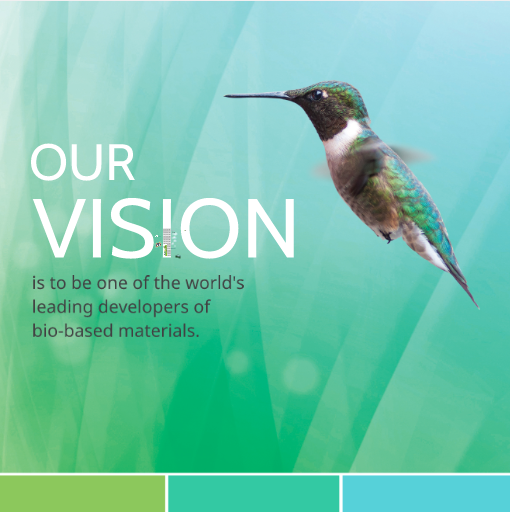 Prior to joining EcoSynthetix, Mr. Van Egdom held leadership roles at a venture capital company, and Dana Corporation. Mr. Van Egdom holds a Bachelor of Engineering in Mechanical Engineering from Ryerson University in Toronto. Ralph De Jong joined EcoSynthetix in 2010 as Director, Customer Solutions and added the role of Vice-President Research and Development in 2018. Prior to joining EcoSynthetix, Ralph worked for BASF from 1988 – 2010 in various roles in Research and Development, Applications Development and Technical Services, based in both Canada and USA. Ralph holds a B.Sc. in Chemistry from Western University in London.